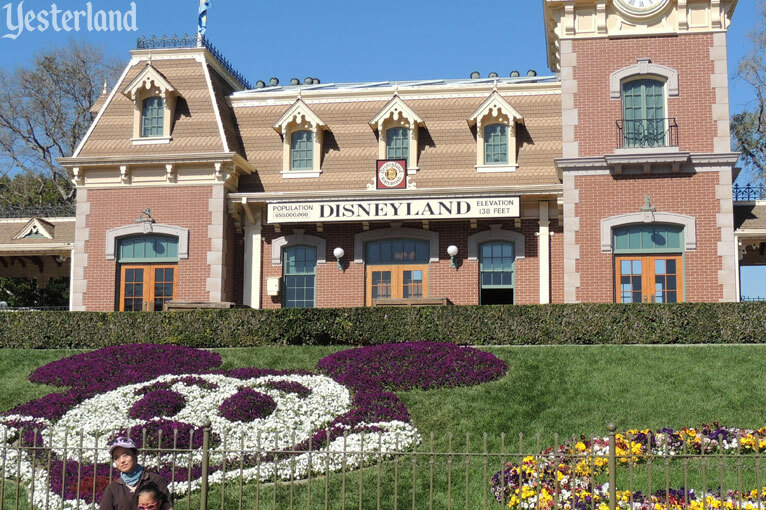 I ran a series of “Disneyland Then and Now” articles in 2009 comparing vintage photos of Disneyland to similar photos taken that year. I went back to the same locations this year to take a third look at each spot. 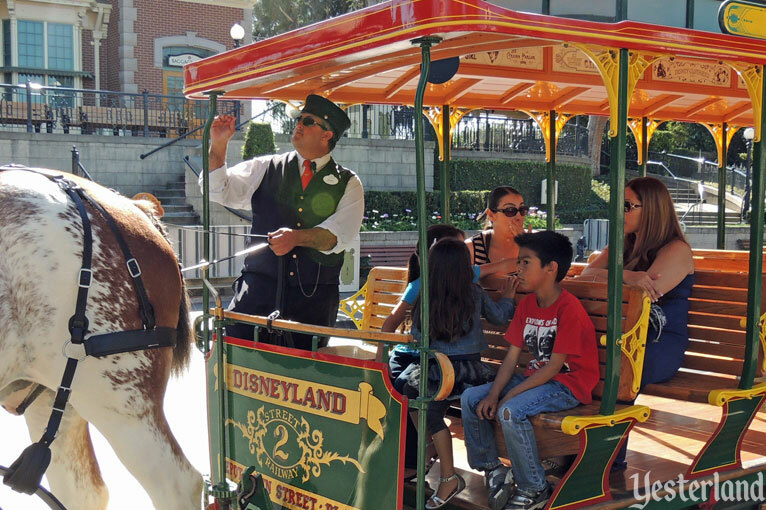 Main Street Station is more than just a loading area for a ride. 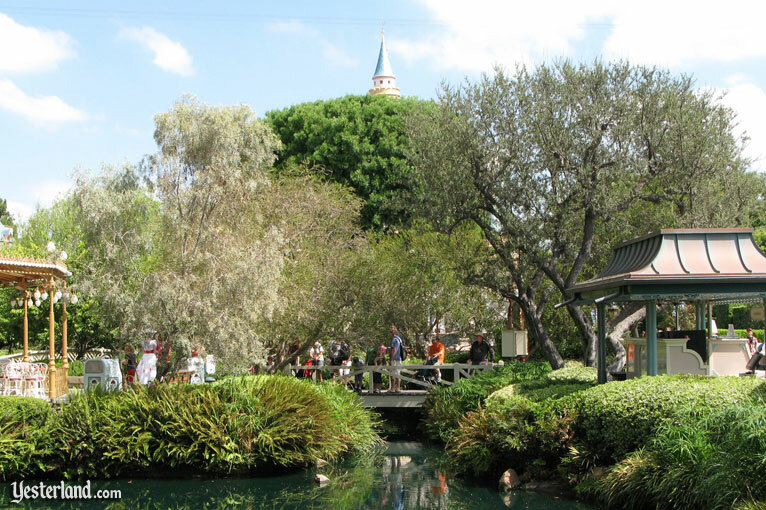 It’s the entrance to all of Disneyland, and it welcomes guests to another place and time. 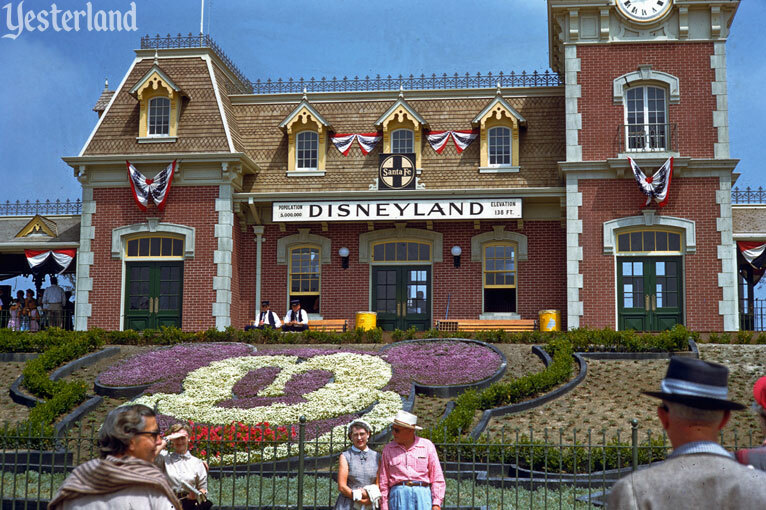 The Mickey Mouse flower bed has been a popular background for snapshots since 1955. The landscaping was originally more than just flowerbeds on a lawn. 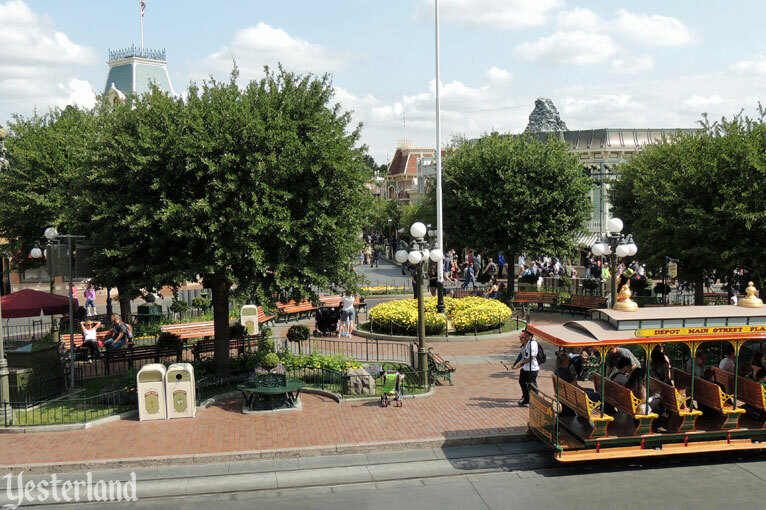 Main Street Station itself looks remarkably similar; even the roof shingle pattern is the same. The station’s door and window frame colors have changed. The roof ridge above the three center dormers originally looked better. The Santa Fe logo was replaced when the railroad company’s sponsorship ended in 1974. 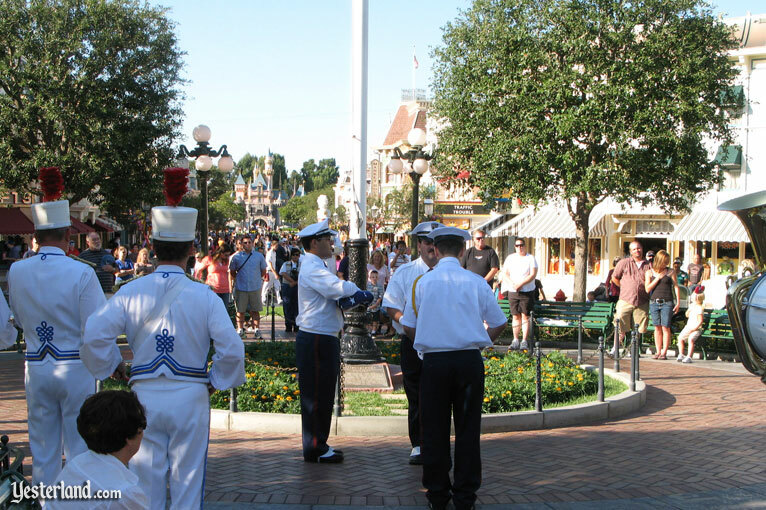 Guests enter Disneyland through tunnels on either side of Main Street Station. 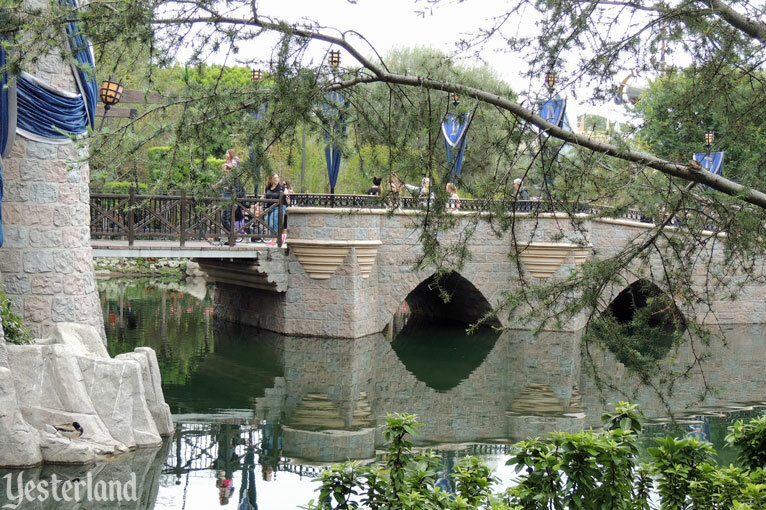 Above each tunnel entrance, a plaque reads, “Here you leave today and enter the world of yesterday, tomorrow and fantasy.” Guests emerge into Disneyland’s Town Square. This first scene of Disneyland masterfully set the stage for the park that thoroughly fulfills the promise of the plaque. The contrast from the “real world” was even more striking back when guests entered from a plain asphalt parking lot. 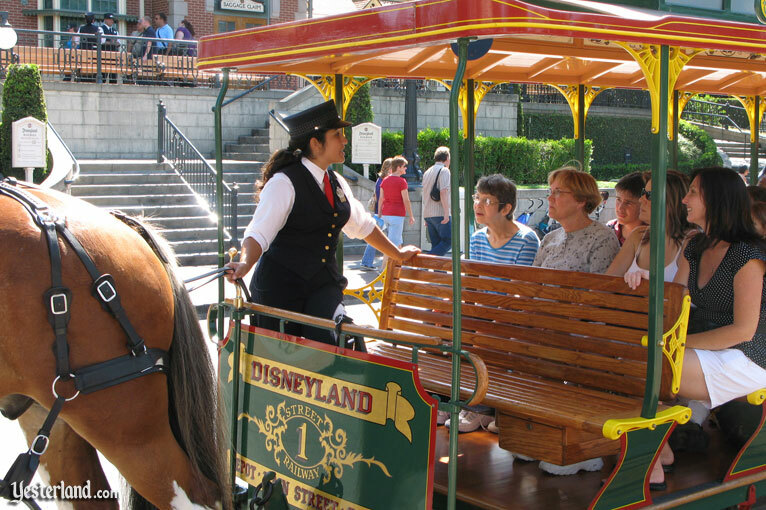 The Horse-Drawn Streetcar has been adding to the old-time atmosphere of Main Street U.S.A. since 1955. 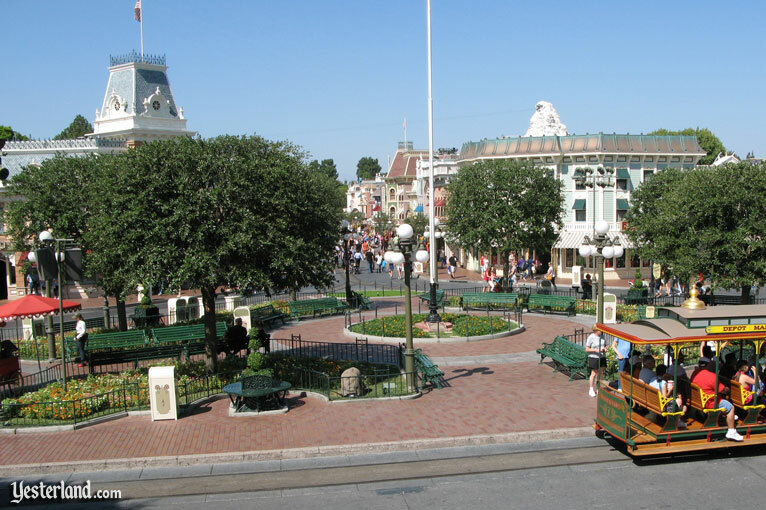 The beautifully maintained streetcar still transports guests on one-way trips between Main Street Station and the Hub. 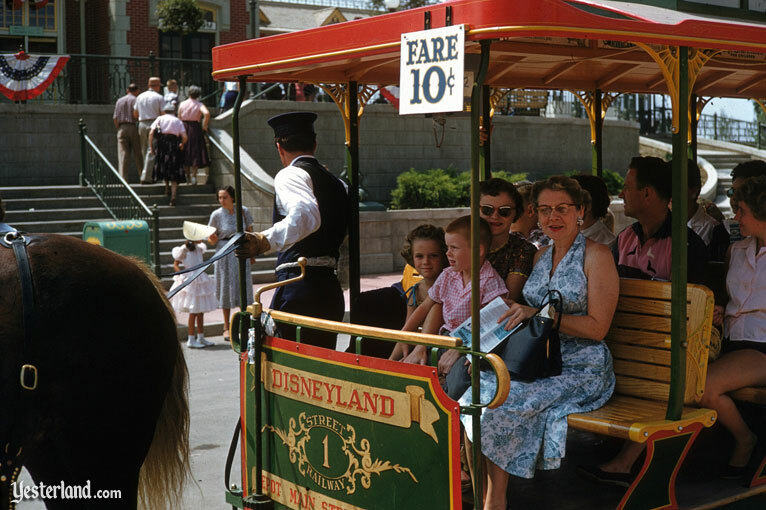 No longer a 10-cent fare! 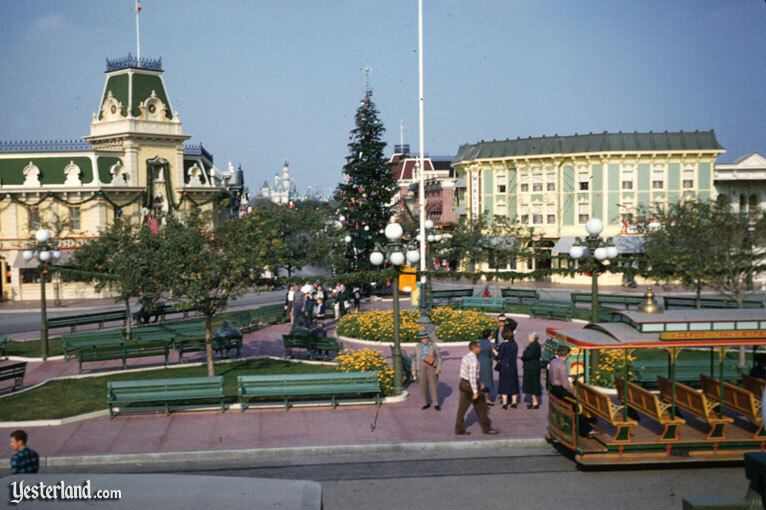 The flag pole in Town Square and the view up Main Street U.S.A. haven’t changed much. 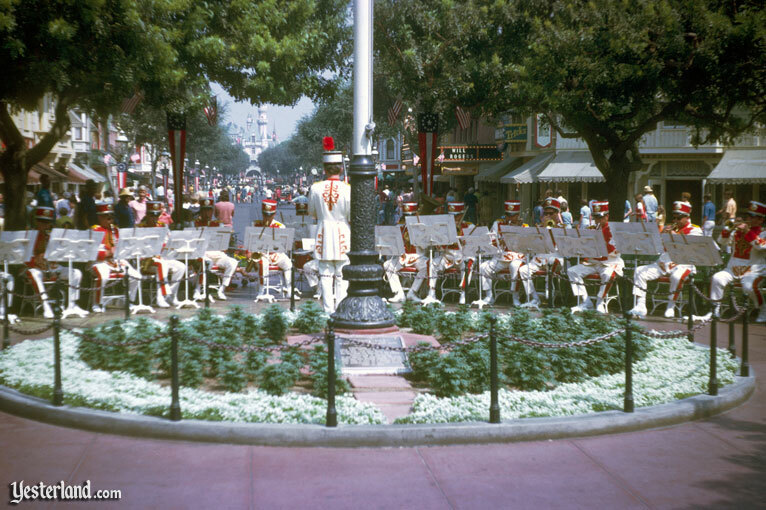 The vintage photos shows a Disneyland Band concert at Town Square. 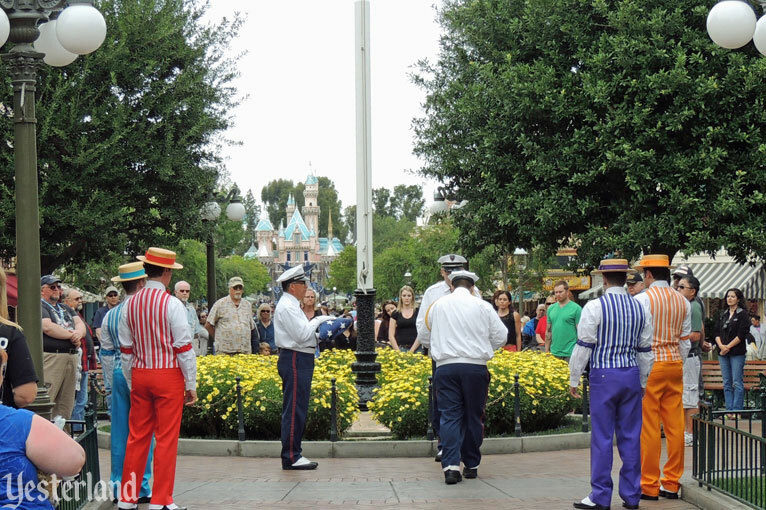 The 2009 and 2015 photos are both from the Flag Retreat Ceremony, but the Dapper Dans have taken the place of the Disneyland Band in the newest photo. The vintage photo and the newer photos above are not from exactly the same spot, but from similar spots. Tiny saplings have grown into huge trees. 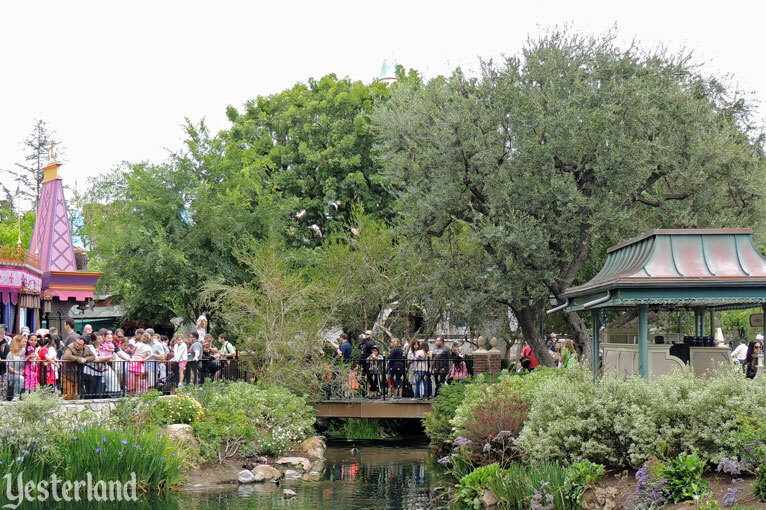 Throughout Disneyland, the trees have changed the scale of the buildings and how views unfold as guests move through the lands of the park. But it’s hard to make a case against the large trees and the beauty and shade they provide. 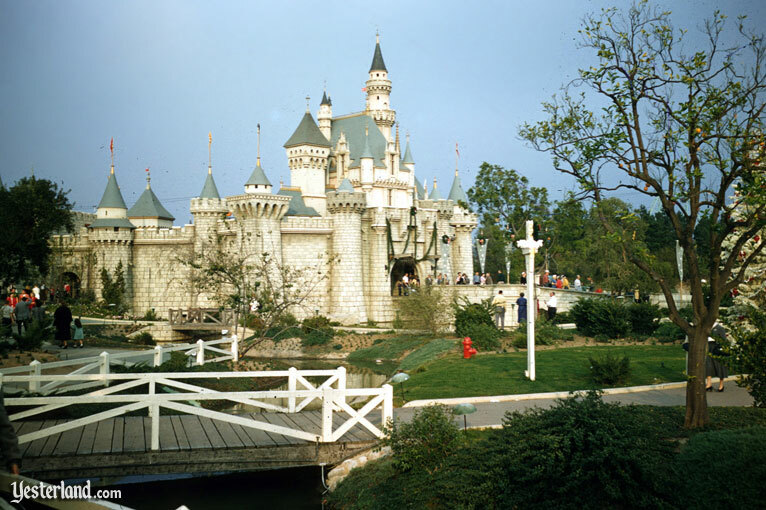 Sleeping Beauty Castle has been the icon of Disneyland since 1955. 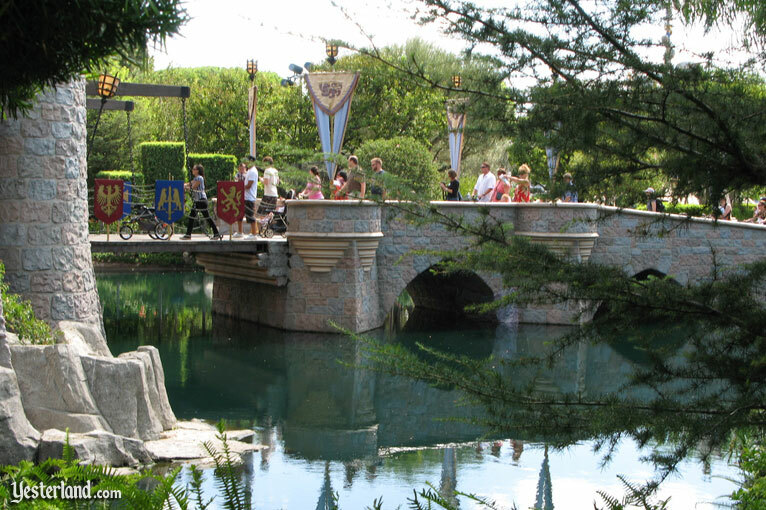 Walking across the drawbridge from the Hub to the Castle is a “must do” for first-time Disneyland guests. 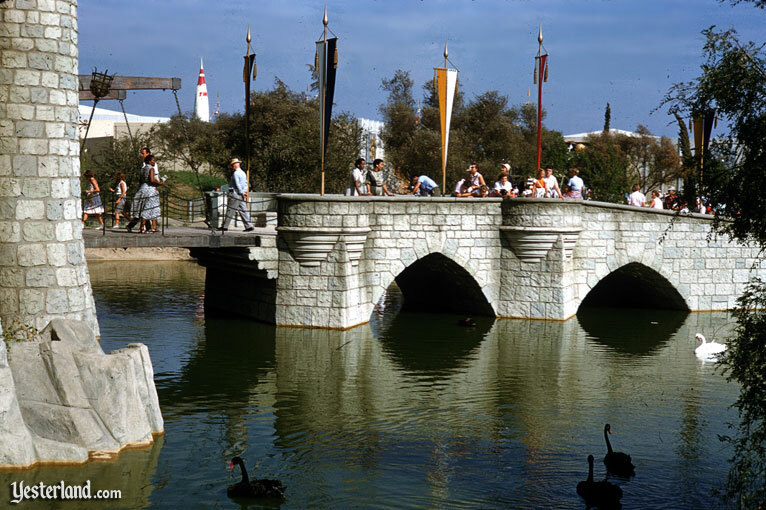 Was there ever a problem of guests falling into the moat? What happened to the swans? Photos from the 1950s by Charles R. Lympany and Frank T. Taylor, courtesy of Chris Taylor. 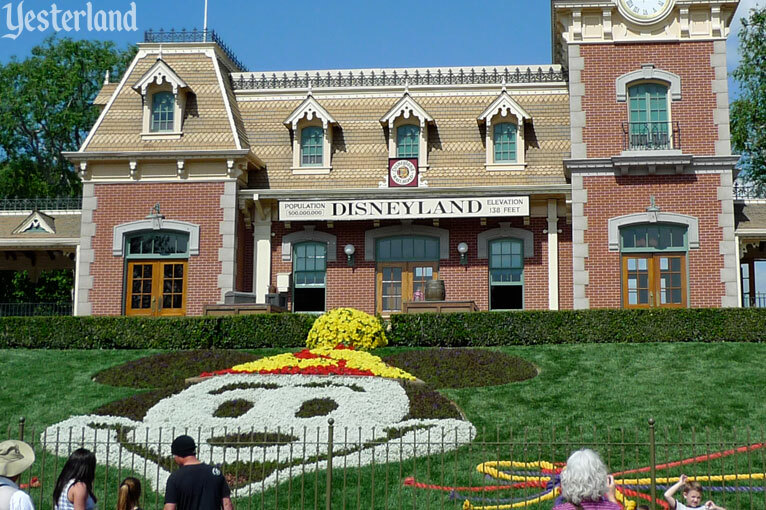 Photo of Floral Mickey in 2009 by Allen Huffman. All other photos from 2009 and 2015 by Werner Weiss.